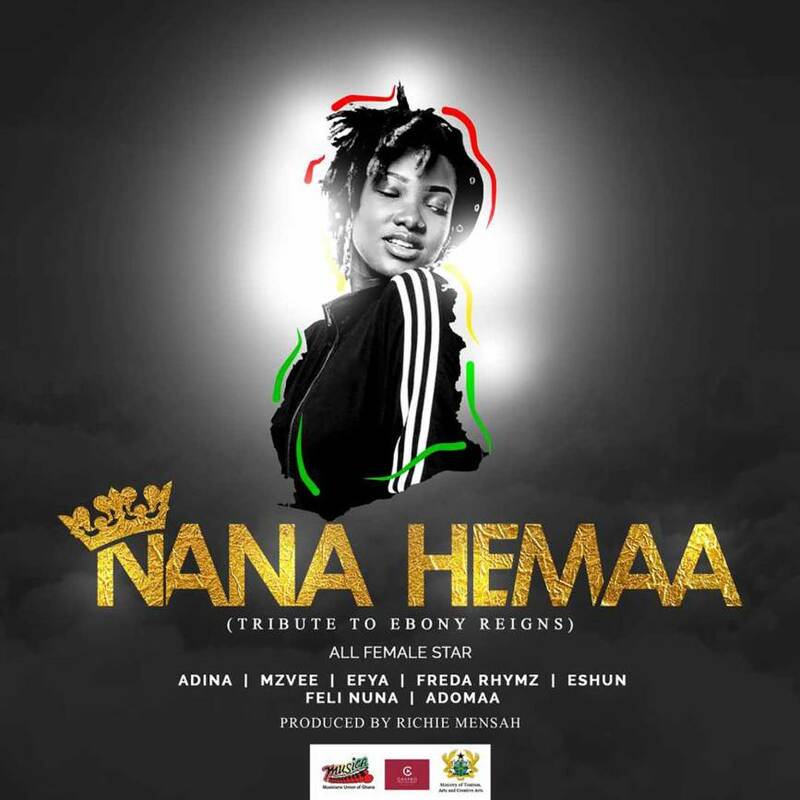 Ghanaian female artistes Adina, MzVee, Efya, Freda Rhymz, eShun, Feli Nuna and Adomaa have released a touching tribute to the Dancehall diva Ebony Reigns in a tune titled Nana Hemaa. Nana Hemaa is produced by Richie Mensah of Lynx Entertainment. The project is put together by the Ministry of Tourism, Culture and Creative Arts, The Musicians Union of Ghana (MUSIGA) and The Ghana Music Rights Organisation (GHAMRO). The Maame Hwe crooner would have turned 21 today, February 16, 2018 if not for her unfortunate death.